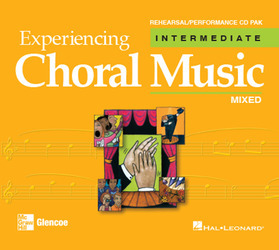 Rehearsal/Performance CD Paks are high-quality professional recordings. They can be used in full rehearsal, section practice, or by individual students. Every song is recorded in three ways: Performance with voices, Accompaniment only, and Individual part-dominant recordings.